Below is a list of the “fine print” that dozens of window manufacturers and installers cite in their warranties. Rather than list the companies who have chosen to include these points in their own warranties, we’ve decided to keep their information confidential. If you happen to have your window installer’s warranty information on hand, it’s probably a good time to see what’s actually in it. We stand behind all of our products and service. 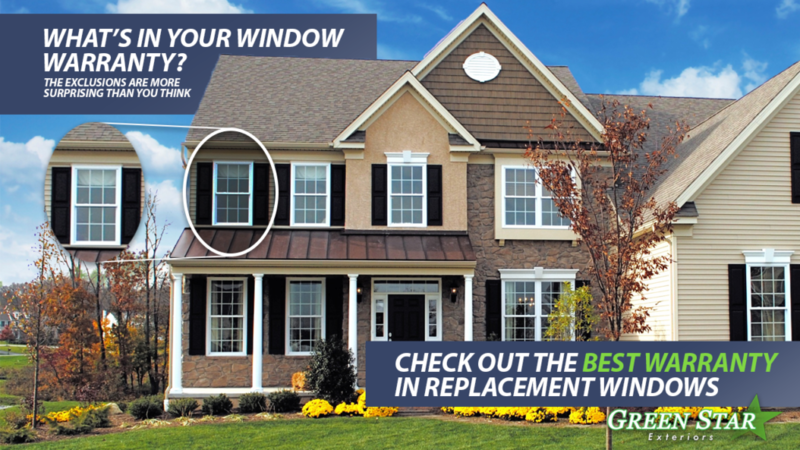 If you live in the Greater Philadelphia area and would like more information on how Green Star Exteriors can help with your homes next project, click here for a free estimate.